Mix ingredients in a bowl. Toast in a pan over medium heat, tossing until golden. Coarsely chop and set aside until assembly. 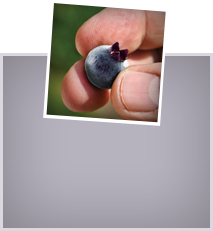 Marinate half of the blueberries in a bowl with rosemary and orange peel for a minimum 10-20 minutes. Peel and slice one banana. Baste with lime juice to prevent browning. 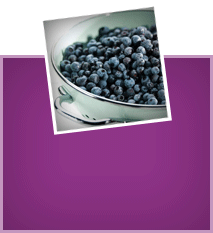 In a blender, puree remaining bananas and blueberries with blueberry juice, orange juice and nut butter until smooth. 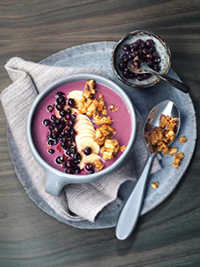 Divide blueberry puree evenly in bowls, garnish with sliced bananas, marinated blueberries and Walnut Crunch. Serve and enjoy.